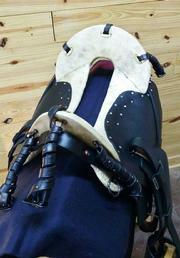 Brand new QH 12" tree. 1859 Model. All the hardware you need! 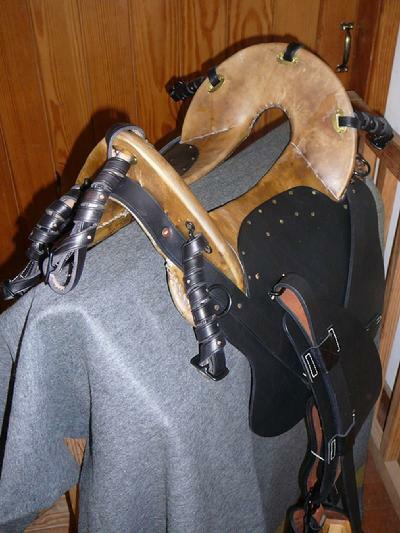 Includes slot plates, footman loops, D rings, stirrup strap buckles, and set of six coat strap buckles. Slots already drilled, staples and rings already installed. Built on new wood tree, covered with rawhide. This is an 1859 model tree built on modified Quarter Horse bars that will fit today's horses. 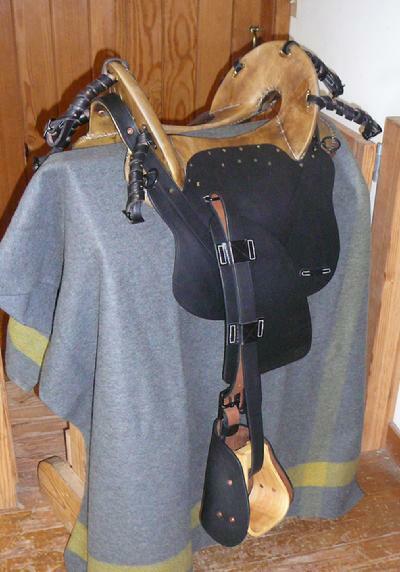 Saddle comes complete with correct iron hardware, hooded stirrups, fenders, skirts, complete rigging assembly and a set of six coat straps. 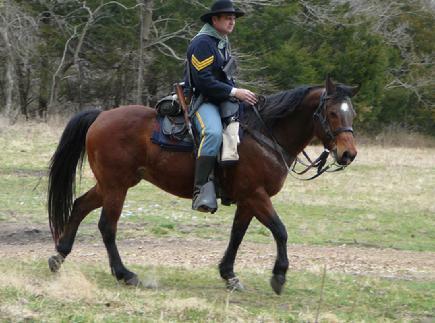 I have learned that harness leather holds up the best, to the abuse these saddles take by the average reenactor. I have tried skirting leather leather and it doesn't hold up. Girth sold seperately. 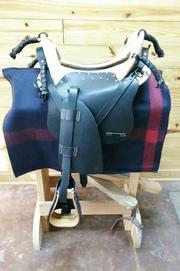 11", 11 1/2", and 12" seat sizes available. 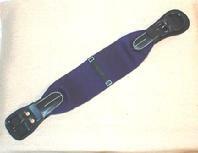 3" or 4" stirrups available. 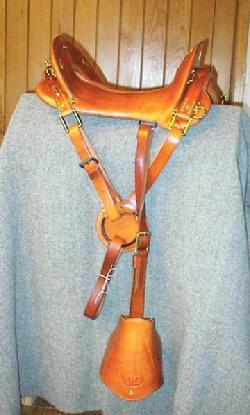 Also available in russet leather. Made with authentic 4 1/2" wool webbing. Built on new wooden tree with modified Quarter Horse bars. Entire tree covered with leather. My covering is formed, molded, and glued to the tree. It is solid and won't move around. 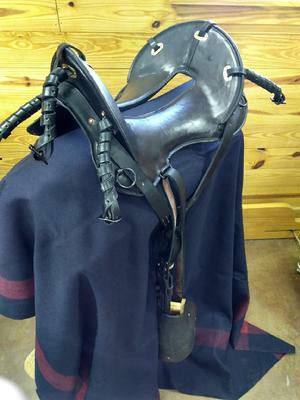 Machine and handsewn.Correct iron hardware, complete rigging assembly, hooded stirrups, and a set of six coat straps. 11 1/2" or 12" seat available. 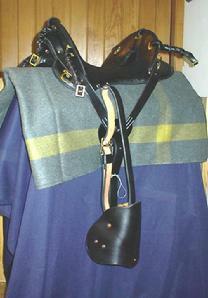 This is the same saddle as the 1872 except it features brass hardware and "US" embossed stirrup hoods. 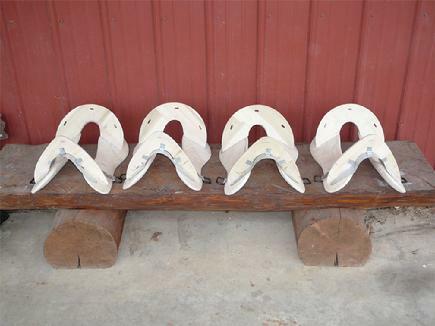 Black or brass bar buckles, horseshoe buckles, or roller buckles available.